Rhynamo is a set of nodes for Dynamo (0.7) that lets you read Rhino files (3dm) into your Dynamo model and onwards into Revit. 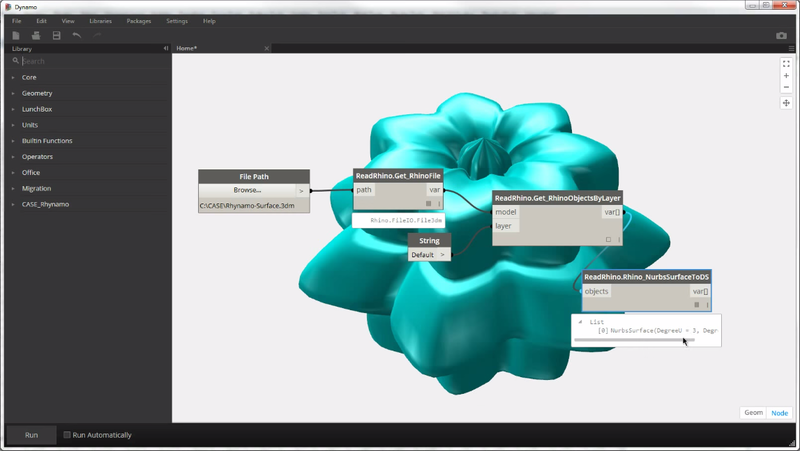 Our alchemist, Nathan Miller, has worked out how to turn Rhino files into Dynamo “DesignScript” equivalents. We're almost ready to release Rhynamo into the wild and we want to gather a couple of noble people to test drive it. Spots are limited. Sign up to become one of the first Rhynamo users. There's more information available on the Case website.